“Pat Hoare’s front-engined Ferrari Dino (pictured at right) was the first racing car I ever saw in action. It was at a practice session before the Ahuriri street race meeting in Napier, New Zealand in 1961. I was enthralled. My lifelong interest in motorsport began at that moment and the image of Hoare throwing the big red V12-engined Ferrari around those tight corners of the Napier around-the-houses circuit has remained with me to this day. “Like many motorsport enthusiasts, in New Zealand and elsewhere, I was intrigued how the garage owner and car dealer from a small town in the South Island of New Zealand was able to acquire such a stunning Italian racing car. This Ferrari had been a Formula One works car only 12 months before, when very few other drivers were able to purchase Ferrari racing cars at that time. 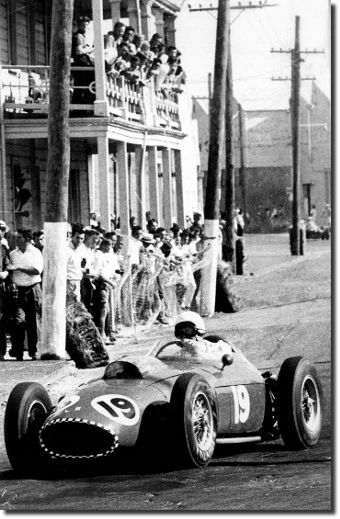 “I diffidently approached Hoare outside his Napier hotel that evening, the big Ferrari parked on an open trailer behind a tow vehicle. The Christchurch driver was approachable and quite relaxed about talking to a newspaperman about his bright red racing car and how the racing had gone that day. He was happy to discuss anything about the car – except how he managed to purchase Ferrari ex-works racing cars when nobody else could. 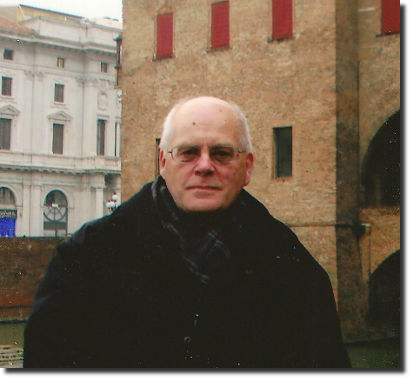 David Manton is a former journalist, newspaper Features Editor and Motoring Editor with features and articles published in international magazines and daily newspapers over four decades. A guest journalism lecturer at Rutgers University, he attended the American Press Institute at Columbia University, New York City and is a graduate of the RCA Institute Television and Film Writing School, New York City. David has also been a Contributing Writer and On-Air Narrator for a television series which included “I Have a Dream”, the Voice of America film tribute to Dr Martin Luther King Jr. This documentary feature was written and produced within 24 hours of Dr. King’s assassination and screened in hundreds of countries throughout the world. David Manton has been an enthusiastic collector and admirer of classic cars since the mid-1970s. © 2015 Bridgehampton Publishing Limited. All Rights Reserved.